If you’re heading to New Zealand for any length of time longer than a month, buying a vehicle is likely to be one of the most cost effective ways to see the country. 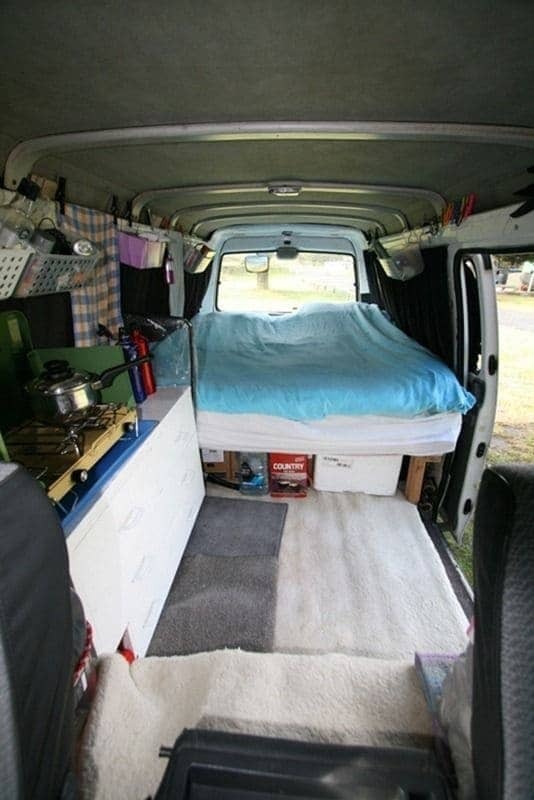 For example, renting a decent camper van for around a month is likely to cost you something in the region of $3000 – $4000 NZD. You can pick up a second hand camper van, depending on the time of year, for $2000 and up. 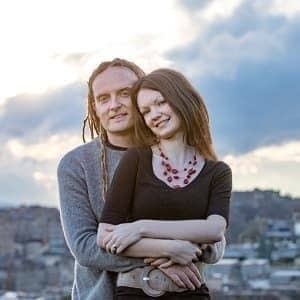 As well as being highly cost effective, the freedom of your own vehicle coupled with the wide spread availability of good value camping options gives you the opportunity to see the country at your own pace, and visit all of those funky little places that an organised tour may not be able to get you. Here are some things that will help out when looking to purchase or sell a vehicle in New Zealand as a traveller, based on my experiences. You are going to want to make sure that any vehicle you buy is mechanically sound. No buyer is going to reveal to you that they are trying to off load an oil leaking monster that barely makes it up a hill. I’d recommend getting any vehicle that you are serious about purchasing checked at a garage. This won’t cost very much, and may save you a fortune in the long term. On the flip side, if you are selling, keep copies of any services or garage visits that you have done. If you have invested time, money and love into your vehicle, demonstrating this to a buyer will reassure them that they are not buying a disaster. When you are looking at a vehicle, here is a checklist of what to look out for. 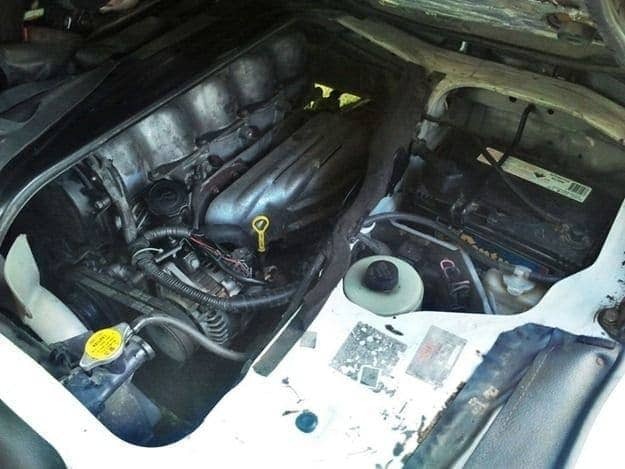 Engines, as a rule, should not be an oil or fluid filled mess. Any savvy seller will clean up their vehicle before letting you inspect it, but any chronic oil or other fluid problem shouldn’t be too hard to spot. If you are inspecting a vehicle that has been sitting somewhere for a while, check underneath it to ensure that the ground isn’t coated in oil. Check for leaks again after the test drive. Don’t expect new tyres, but do check that the wear on the tyres is even – i.e. that one side of the tyre isn’t more worn that the other. Uneven tyre wear can mean problems with vehicle tracking, and may cost you money down the road. You will absolutely need to take the vehicle out on a test drive prior to purchase, and you need to be the one driving it. We took a vehicle of a test drive and the owner wouldn’t let us drive it – it turned out it the reverse gear wasn’t working! When you are driving, ensure that the brakes work properly, that it goes up and down through the gears smoothly, and that clouds of smoke don’t come out when you’re going up a hill, or accelerating hard, or even when you start it. Ensure that the vehicle doesn’t pull to one side, or the steering wheel vibrates terribly. In an ideal world, you will be able to try and start it cold, although this may not always be possible. Listen to the engine for weird noises as you go along. Anything unusual could be a sign that something is wrong. It is worth checking the various levels in the vehicle to see if there is anything amiss. Any savvy seller will ensure things like the power steering fluid, brake fluid, radiator and oil levels are nicely topped up, but it doesn’t hurt to check. Any older vehicle is liable to burn some oil – ask how much. Check that there is one, what condition it is in, that you know how to access it, and that all the tyre changing kit is present and correct. Don’t get too excited about the “accessories” that the vehicle may come with, or the funky paint job. These may be nice to have, but your purchasing decision really should be based on the mechanical soundness of the vehicle rather than the cute disco ball and funky flowers down the side. Nearly every travellers vehicle should come with a full set of cooking gear and other bits and bobs, probably handed down from traveller to traveller. Consider it a flavour enhancer. New Zealand roads are not always smooth layers of hard black bitumen. In fact, it is inevitable that any vehicle you buy will have driven on a selection of exciting gravel roads. You’ll want to check that the windscreen doesn’t have any serious cracks as a result of this. Also, give the paint job a good look over. A cheap can of spray paint can hide a multitude of rust spots from a casual observer. And don’t forget to look at the roof too. Finally – check the exhaust system isn’t a crumbling rusted pipe. Whilst the tidiness of a vehicle isn’t always a reflection on how good of a deal it is, a well kept vehicle is always going to be a more positive option. When selling, make your vehicle look as nice as it possibly can to attract buyers. When we were looking, one of the vehicles had a used condom on the floor. We didn’t dally on that one. This was ours, prior to a successful sale. Full marks to my better half on this particular accomplishment! Prices for vehicles in New Zealand for travellers fluctuate enormously depending on the time of year. The peak season for buying and selling is between Oct/Nov and Jan/Feb, or the summer months. Prices can double or triple at these times, with vans going for anywhere upwards of $3000-4000, with over $7000 not being unheard of. Vehicles also sell very fast at this time of year, so if you find something you like you will have to move quickly. Conversely, in the deep off season around Winter, April – August, prices crash, and you can pick up some serious bargains, with prices as low as $2000. The price of a vehicle, as with anything, is entirely based on demand. Obviously, newer vehicles with lower mileage will cost more. Also, larger vehicles, such as long wheel base models, or vehicles with a high roof that let you stand up, will demand a premium. If you are able to plan your trip accordingly, you could buy in the off peak and sell in the peak season, and actually make a small profit on your vehicle, which was what we managed to do. Which beats renting by some distance! It is unlikely that any vehicle you purchase from a traveller is going to have anything approaching a full service history. However, there are some bits of documentation that any vehicle will need to have to make it road legal, that you will then need to hold onto for a sale. WOF. The Warrant of Fitness is equivalent to Australia’s pink slip, or the UK MOT. It demonstrates that the vehicle is safe to go on the road. A WOF is valid for six months from time of purchase for vehicles that are older than six years. Note that a WOF is not a mechanical certification – it is more about things like working lights, tire tread and seatbelts. It says nothing about the state of the engine. A WOF costs between $40 and $50. If the vehicle you are buying has a power hook up for camping, then it will also need an electrical WOF. Rego. Registration is essentially your road tax, and can be bought in three, six, or twelve month blocks. RUC. 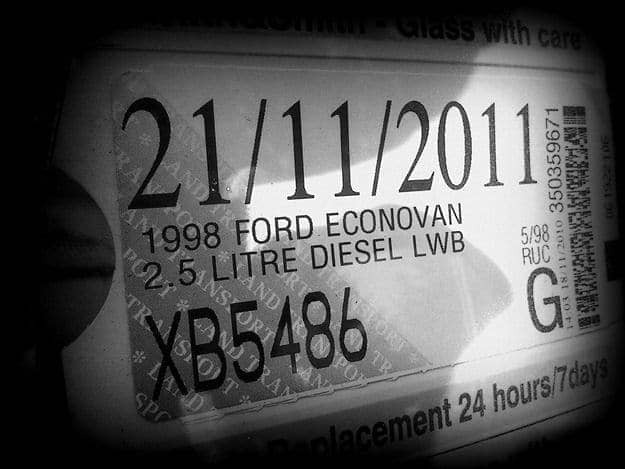 If you are buying a diesel powered vehicle, then you need to ensure it has an up to date Road User Charge certificate. For some weird reason in New Zealand, diesel is not taxed at the pump. Instead, you pay a charge per 1000km that you drive, of around $50, in advance. When buying, you need to make sure that a vehicle has all of the above in place – normally these are displayed prominently on the windscreen. The REGO and RUC can be bought at any post office. A WOF can be done at most garages, or specialised WOF only centres. You should be able to ask to see the last WOF report, which will highlight any problems that arose in the check – although holding onto this piece of paper isn’t a requirement of sale. The seller may also be able to show you the most recent service report, if there has been one. Don’t count on it though. If you are selling, and you have regularly been keeping your vehicle serviced, being able to show this documentation will make your vehicle more attractive to a buyer. Once you have agreed on a sale, there is a $10 fee to transfer ownership of the vehicle from seller to buyer. This is a very easy process requiring a couple of forms that can be done at any post office. It is not a legal requirement to have car insurance in New Zealand. However, it is not a bad idea to have third party insurance to cover the cost of any unexpected damage to someone else’s vehicle. A year of third party car insurance specifically aimed at travellers will cost in the region of $250, and can be picked up through someone like BBH, or the previously mentioned Backpackers car market. 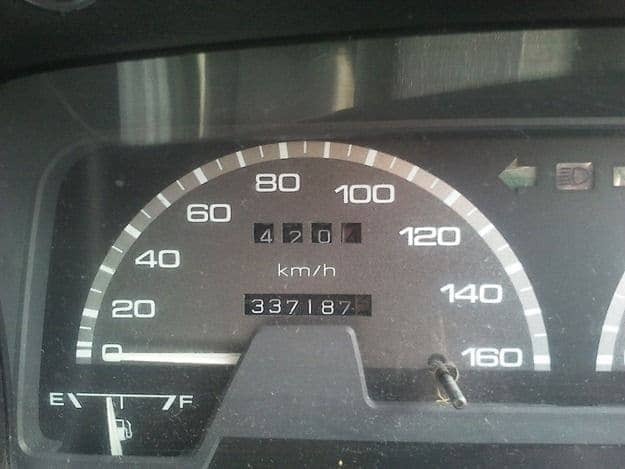 New Zealanders drive on the left, and speed limits and distances are given in kilometres. The road rules are not that different from the rest of the world. For some tips on driving in New Zealand as a visitor, check out the New Zealand Transport Agency visiting drivers page. The majority of travellers arrive into New Zealand in Auckland, which whilst not being New Zealand’s greatest city, is handy for getting yourself set up. Here you have a number of options for purchasing and selling. One of the most popular (and easiest) ways to sell a vehicle is online. There are a number of places to do this, although you should always arrange to view and test drive the vehicle if you are interested in it. Post a Note New Zealand. We bought and sold our vehicle on gumtree, but this doesn’t exist in New Zealand any more. Instead, check out post-a-note, which looks very similar. As with any online service like this, be particularly wary of anyone wanting to buy a vehicle from you unseen, or wanting to pay in anything other than cash. The backpacker notice board. As well as jobs, this is a decent place to look for a vehicle, but it doesn’t currently offer the facility to share images. Trademe. Trademe is New Zealand’s equivalent of eBay, and is very popular with Kiwi’s. However, as listing on Trademe costs money, most travellers won’t bother with this one. In Auckland, there are a number of car markets which charge a fee for folk to attend, where you can buy and sell a vehicle. These are often a good way to get a good idea of what is currently available for what price, and are worth a visit for that reason alone. There are also dealership specialising in travellers vehicles. 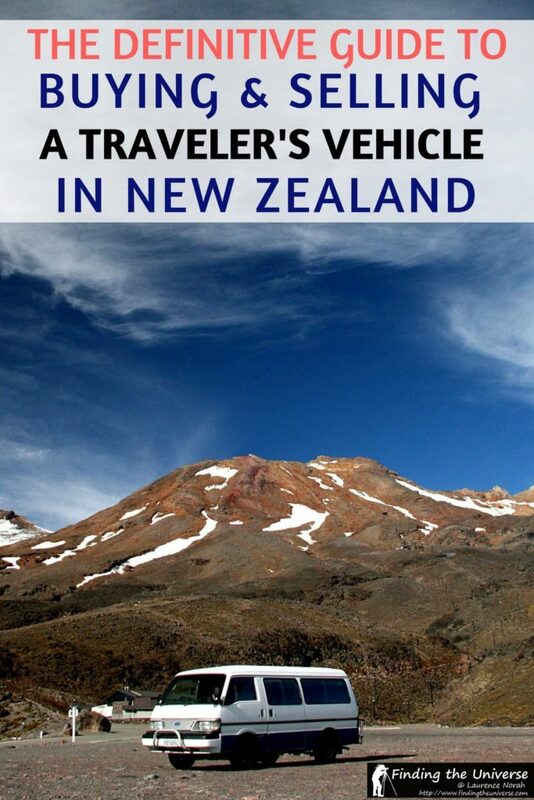 TravelCars New Zealand. I haven’t personally used them, but this site has very positive reviews on Google. They carry a wide range of travellers vehicles and they also have a buy back guarantee where they’ll buy your vehicle back from you at around 30-50% of your purchase price. Whilst it will likely be more cost effective to sell it yourself, this is a good peace of mind option if you are in a hurry or don’t want the hassle of trying to sell your vehicle. 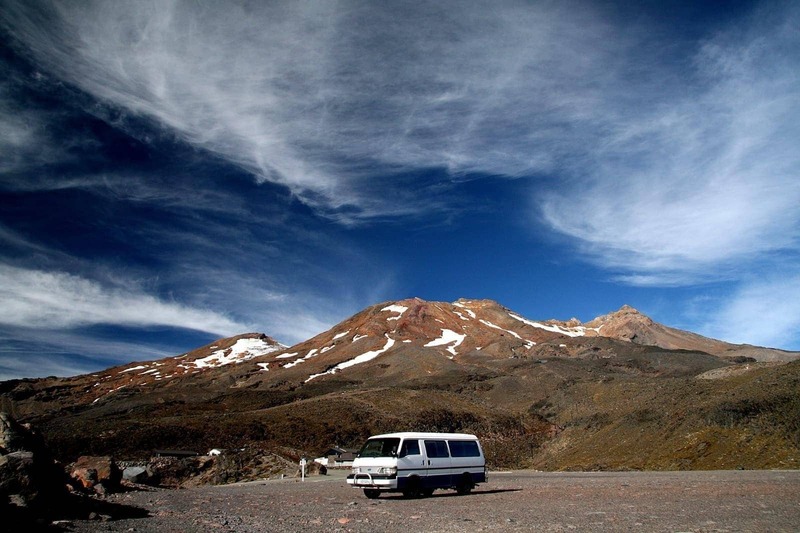 Backpackers car market – this is a very popular option with backpackers, as it provides a one stop shop for traveller to traveller vehicle sales. They can sort you out with all the paperwork, provide insurance, and there is a garage over the road for mechanical inspections. However, our experience was that vehicles here were far more expensive than the other options, and we heard some negative feedback about the place from fellow travellers. It also featured recently on a TV programme in NZ, where undercover reporters showed that around 40% of the cars are actually being sold by dealers rather than backpackers. So buyer beware on that one! Ellerslie Car Fair – this Car Market is held once a week on a Sunday. There is a $35 fee for sellers, and there are on site vehicle inspection services. This is a really great place to visit as a buyer to get an idea of what is on offer. As a seller, be aware that a lot of local dealers visit here looking to snap up a bargain from desperate travellers, so don’t get talked out of a fair price for your vehicle. If you are staying in a hostel, it will most likely have a noticeboard, which will probably have a swathe of leaflets from fellow travellers looking to sell their vehicle. Supermarkets and cafes will probably also have noticeboards that are worth taking a look at. And that’s it for our guide to buying and selling a vehicle in New Zealand! I spent a year travelling New Zealand in a van I bought, and had an incredible time. This ended up costing me very little, as I sold the van at the end, so the only costs were on-going maintenance and fuel. If you found this post helpful, why not check out the rest of my New Zealand guides, which include ideas for finding a job, hooking yourself up with free internet, and must visit destinations on the north and south islands! Hi! Thank you for such an informative article. We are planning a 6 month campervan trip around North and South Island and wondering which 6 month timeframe to choose. We were originally thinking December – May to get good weather for hiking in both North and South, but was wondering whether we would struggle to sell our campervan in the Winter. What would you guys suggest? 🙂 We are going to buy and sell in Auckland, as opposed to buying in Auckland, selling in Christchurch. My pleasure! In my experience, you will still be able to sell, but you will need to be prepared to get a lot less money for the van than you bought it for as there will be much less demand and so prices will have dropped off dramatically. On the plus side, it will still work out a great deal cheaper than renting for six months! In New Zealand it was easy enough to open a bank account, so I just had the money deposited directly into that. Then I transferred it internationally. But a lot of people just take the cash, which I found a bit too risky (depending on where your next destination is!). A good option is to have the money transferred internationally – I like to use transferwise to send money internationally, it usually works out cheapest. You can sign up and find out more here: https://transferwise.com/u/a22a27 Enjoy New Zealand!